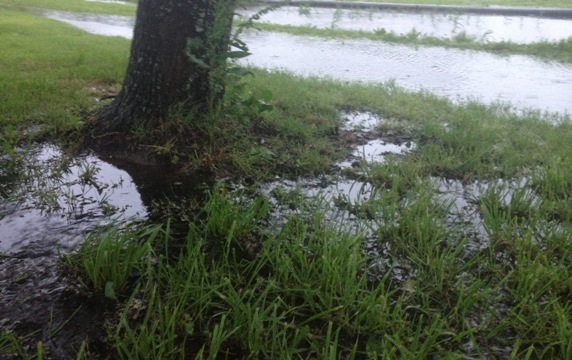 The week started with one of the earliest tropical storms on record: Tropical Storm Ana. 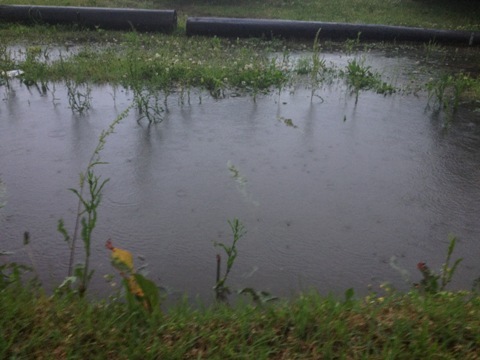 For reference, the ditch in the second picture is approximately 5 foot deep. The photograph was taken approximately 6:00 AM on Monday morning. Things did not improve until early Tuesday. 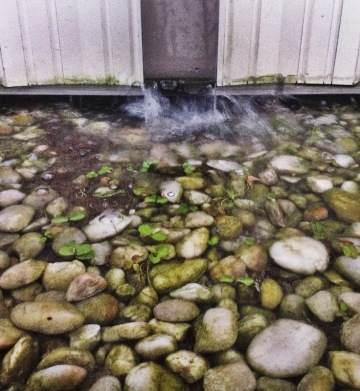 Personally, I like how the downspout turned out. On Tuesday, we held a surprise Spring Recital for F_____’s wife. Normally she puts this on herself; with everything that’s happened, she cancelled it this year. My cousin, one of her students, organized and put on the recital for her. 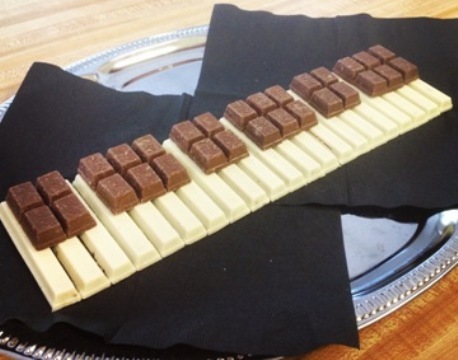 One of my jobs was to make this chocolate piano keyboard. I didn’t get the right dark bars – I got the “mini” kind instead of the “fun size” ones – but still think it turned out okay. Actually, there were two of them, and only one white bar remained at the end of the evening. Things were both normal and hectic on Wednesday, Thursday, and Friday; you know, typical end-of-term stuff. 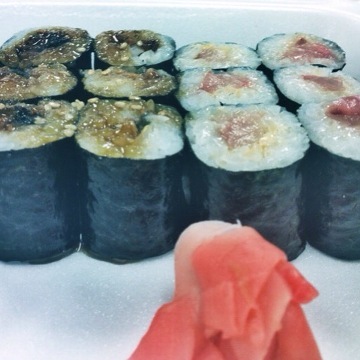 My principal surprised me with not one but two kinds of sushi: eel (my favorite!) and yellowfin (which I hadn’t tried before but found to have just the right amount of spice and kick to it). 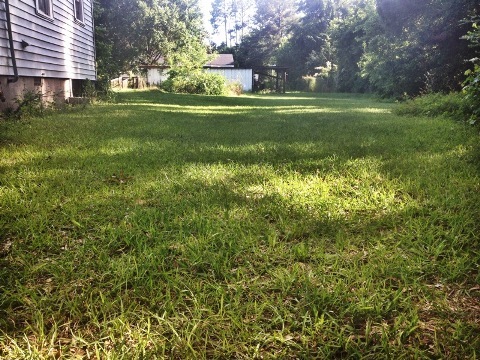 Saturday I cleaned the house (laundry and dishes) and cut the grass. Go me! Now I can treat those annoying anthills . .